Start with both hands on the flake 6 feet off the ground. Move up using holds to the left and right until your feet are on the starting hold. 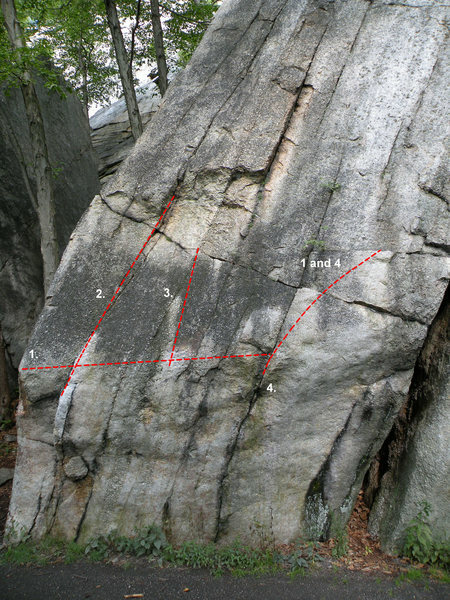 The real difficulty is finding feet on the steep slick face below the starting hold. I had my right foot on holds in the small crack to the right most of the way up. On the left center of the middle Pebbles boulder.